The City of Flowood offers a wide variety of recreational and leisure accommodations. We also offer several rental facilities for civic, educational, and personal use. We encourage you to experience all that the City of Flowood has to offer. Flowood Parks and Recreation Office is located at 109 Woodline Dr, just behind City Hall. 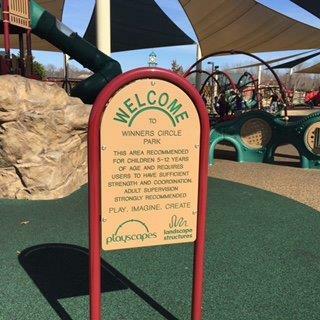 The park contains an outside full-court basketball area, a 1600 square foot open-air Pavilion with picnic tables, a state of the art playground area, a 300 foot baseball/softball field, a concession stand with bathroom amenities. Call Parks and Recreation for Reservations and Fees. This facility is nestled in a highly traveled area just off Flowood Drive, and is home to many anglers and picnic goers. It has two main picnic areas complete with tables and trash receptacles, restroom facility, two handi-cap fishing piers, and a newly renovated boat launch. It has seen activities such as Ms Wildlife and Fisheries Kid’s Fishing Rodeo and Boy Scout Retreats. Newly designed premier ballfield complex with more attractions to follow. A four-plex lighted baseball complex with state of the art concessions area, restrooms, and press box; a four-plex lighted softball complex with state of the art concession area, restrooms, and press box; four Olympic sized soccer fields which can be broken down to fit different size age groups. This 40-acre facility is designed to accommodate most any activity for all imaginations and age groups. 5000 square foot building with full kitchen, bathroom facilities, and an open area designed for weddings, receptions, meetings, etc. This facility comes with tables and chairs for the desired use and has a rustic / modern look for all occasions. (Max capacity 125) Call Parks and Recreation for Reservations and Fees. 5 acre beautifully landscaped and designed park with state of the art playground, five tennis courts (lighted), eight open-air pavilions with picnic tables and grill, center-court with picnic tables, amphitheatre for public use, ½ mile walking track, and three arbors for rest and relaxing. Go to www.cityofflowood.com or call Parks and Recreation for reservations and fees. 40 acres off Flowood Drive just beyond Winner's Circle Park, and adjacent to Flowood Elementary. A one mile, paved, distance-marked walking trail runs from the parking lot around the lake and into a wooded area on the rear of the park. The trail weaves through a mature hardwood forest with markers for native trees and plant species where kids can learn about trees, plants and wildlife. Wooden benches and picnic spots accent the way. Open-air pavilions with picnic tables, an amphitheatre for outdoor classes or weddings, and a lake. This is an Off Road Indoor dirt racetrack. The facility is able to have races with 300 participants on the pro-level off road track. In addition, an oval track for kids birthday parties and special events where we provide the R/C vehicles is available, and is open to the public. Card Day every Tuesday (11:00 a.m. – 4:00) We have Pot Luck, Sack Lunch, Out To Eat Bunch and then play HAND & FOOT CARDS. Make plans to eat and play the day away. Sometimes we have a special guest speaker. First Wednesday of the month (10:00 - 12:00) GAME DAY Games include Rumi-cube, Dominos, Yahtzee, Phase 10 Cards and many others available.